February was an exciting month in the Kindergarten. 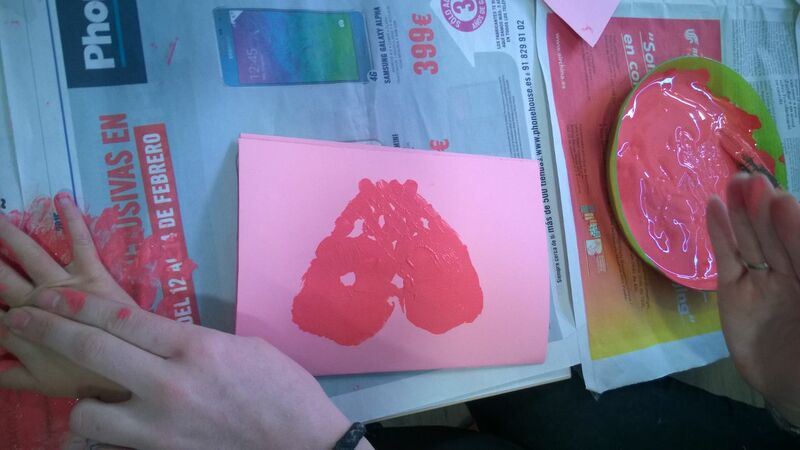 We celebrated Saint Valentine’s day and the Chinese New year! on Love, not only for our family but also for our friends! We did lots of fun activities, such as painting hearts and making Valentine’s cards! We also sang some special Valentine’s songs, which the children had great fun singing!. The children especially enjoyed learning about Chinese New year! They loved learning about the celebrations in China! They looked at lots of photographs of Chinese New year and the Zodiac animals. 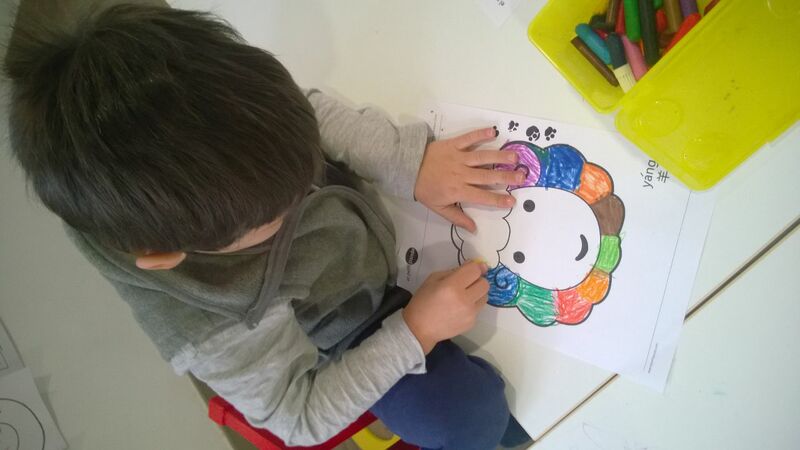 This year was the year of the sheep, so we did lots of activities about sheep! 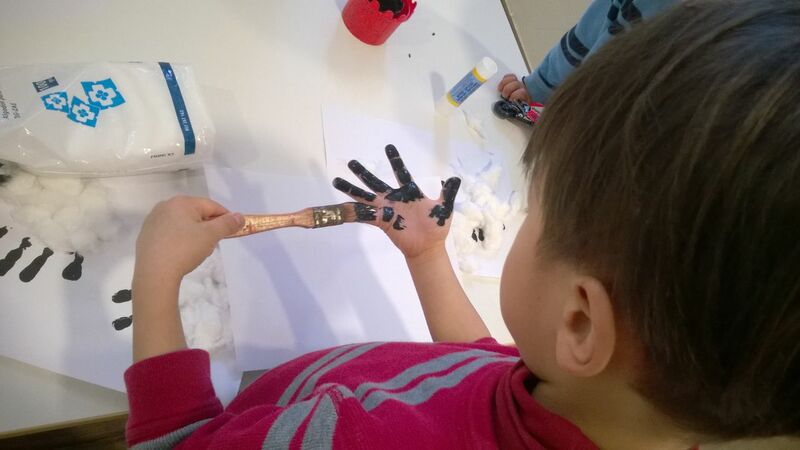 We painted them with our hands, made masks and sung lots of songs about sheep in both Chinese and English! Now we have started a new month in the Kindergarten, and this month is about our fi ve senses! Each week we are going to look at different senses and do lots of fun activities about them! 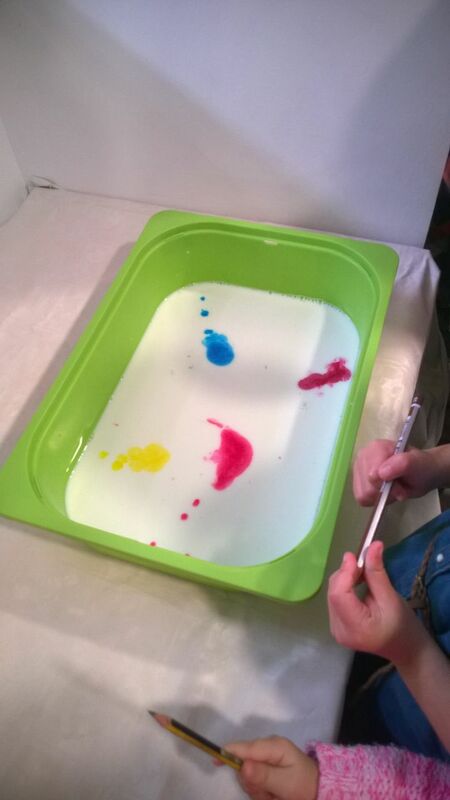 This week was our ‘sight’ sense week, we have done lots of visual activities, including some fun science activities that the children had great fun doing! Next week is about touch, so it would be great if all the children could bring an object with an interesting texture!